Yet another assignment in the Graphic Design course (AR2301) at WPI involved illustrating an object taken from a list of 6 or so objects. The name of the assignment came from the restriction that we were given a black square and could only add white shapes to make up the illustration. I chose ice cream from the list and this was the result. The top two smaller squares were “practice” squares for us to test two different ideas and then the bottom square is the final illustration. This was an “in class” assignment for which we had about an hour, I think. Since I usually get my ice cream in a cup, I thought of that first. 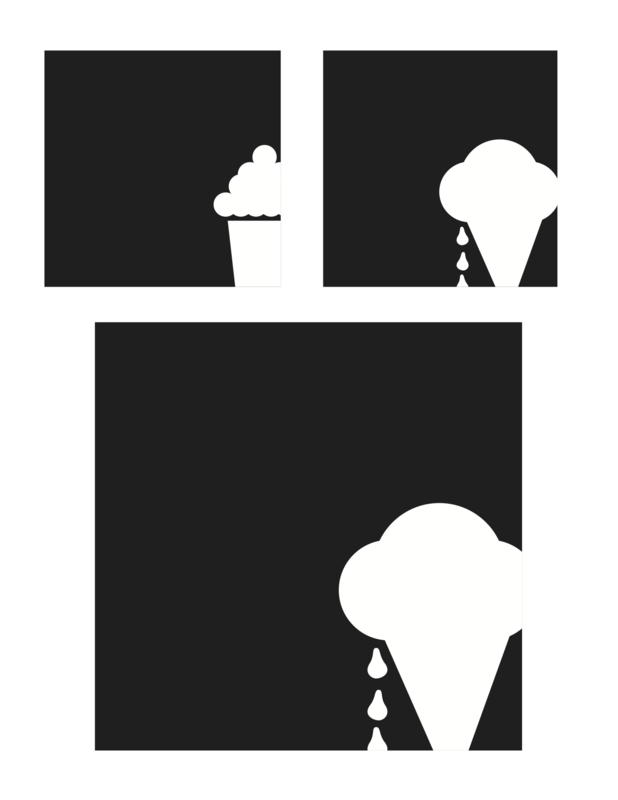 But the result kind of looked like a cupcake and the idea of the drips made the second image much more compelling.